Dear Limo Lovers everywhere, I know what you are thinking is this another sales push well it is so enjoy and give us a call to complain about it later. What is it about limousines to attract our eyes to check it out? is it fame? the money? women? what ever it may you are still looking and curious. I hear many times that its curiosity of who might be inside come to find out is Joe that lives down the street meaning no one famous that what the limousine industry has come to these days. Just regular folks wanting to ride in a limo for a few hours. 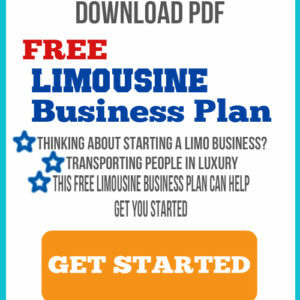 While that good business for the limo company and short entertaining ride for the passengers. I had enjoyed seeing limousine because of their limited supply of limousines. Not everyone can ride in a limo and have fun with their friends for a night. My question is should exotic vehicles be converted into limousine such as this vehicle. I don’t know about you but I can say well I sell limos so I can’t say that, how about most people can’t say they have been in a Porsche Cayenne limousine before. If we consider this is a very unique limousine that is not often built into a limousine that would make it more valuable that a traditional Chrysler or Lincoln limo. I would like to see how many vehicles are for sale like this. Keep in mind the price point of this limousine is only $34,995 which is very low in my opinion (sales pitch). Tell me the truth would a person interested in renting a limo from you be more interested if you offer them this vehicle versus a Lincoln, Chrysler, etc. Vehicles like this just don’t come around often and you won’t find another one with a low price point like this. Its like being able to purchase luxury for half the cost. This limousine was built by exotic coach works. Then the vehicle was purchased by some nice people in the mid west for personal use then sold to American Limousine Sales. However the vehicle needed new tvs, rewiring the electrical system, and work on the suspension, as well as repainting the front bumper. Once this work was done. This limousine shines apart from rest of vehicles on the market please call or text Richard for more information about this limousine.